AMACOM’s (of the American Management Association) sixth edition of the best-selling book, The First-Time Manager — originally published in 1981 is a must-read for new managers and leaders in business. Class is treating people with dignity. Class does not have to be the center of attention. Class does not lose its cool. Class does not rationalize mistakes. Class means loyalty to one’s staff. Class recognizes the best way to build oneself is to first build others. Class does not taken action when angry. Class is authentic and works hard at making actions consistent with words. The First-Time Manager is an excellent how-to guide for anyone new to managing people. 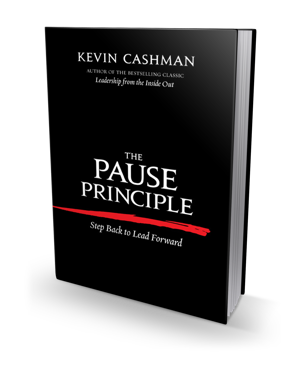 What’s the first leadership book you would give to a new manager? Today, I share some of my favorite quotes from Kevin Cashman’s new book, The Pause Principle.